Mocking Congress MP Mani Shankar Aiyar's tea vendor taunt at BJP's prime ministerial candidate Narendra Modi, the party on Friday distributed tea to public free of cost to register their protest against the controversial remark. 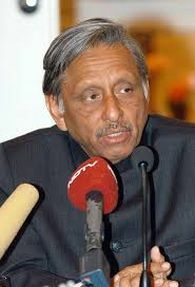 "We have distributed about one thousand cups of tea for free, protesting against Mani Shankar Aiyar's statement; ...general public are expressing their strong criticism against Aiyar's words," BJP state media coordinator S Prakash told PTI. "His words have also hurt the sentiments of tea vendors who are leading respectable life with the help of their business," he said. During the recently held AICC meeting in Delhi, Aiyar had mocked Modi's prime ministerial ambitions and said a place will be identified for the Gujarat chief minister to distribute tea there. "I promise you in 21st century Narendra Modi will never become the prime minister of the country... but if he wants to distribute tea here, we will find a place for him," Aiyar had said at the venue of the AICC meeting. Several office bearers of Bangalore city unit of BJP distributed tea to the general public in the presence of former Deputy Chief Minister R Ashok near Anand Rao circle Gandhi statue. Modi, who was once a tea vendor, has hit at out at the 'chai wala' barbs at him by Congress leaders accusing them of "feudal mindset." Now, a former Congress CM thinks EVMs are defective!